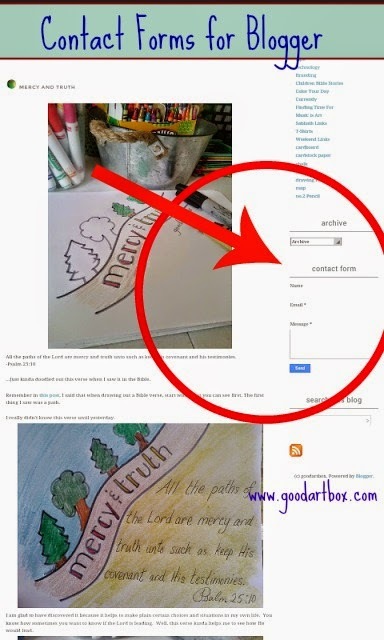 good artbox: Contact Forms on Blogger -yay! Contact Forms on Blogger -yay! This blog post is for that one person who blogs on blogger and has always wanted to add a Contact Form. Well, Blogger has done it! They now have Contact Forms as a choice in the "Add A Gadget" selection. Simply go to your Dashboard. Then click the Add a Gadget button. You will then see Contact Form. Then click and add to your site.